Athletic, roomy and sleek, the Mercedes C-Class establishes there’s nothing as sophisticated as a true athlete. Muscular lines trace a body that’s slender, poised and capable. A unified flow of passion and accuracy describe its appearance, and express its every move. The design flows. Your enjoyment overflows. The generous size and sensuous sculpt of the C-Class cabin is an accomplishment of form and purpose. Engagement, entertainment, and enjoyment flow spontaneously from instinctual controls and rich displays. State-of-the-art comforts revitalize your senses. The look is all you. The choice is all yours. Exclusive design is just the beginning of a MERCEDES BENZ C-CLASS 4MATIC. Athletic styling is standard, with an audacious grille and 17-inch alloy wheels. 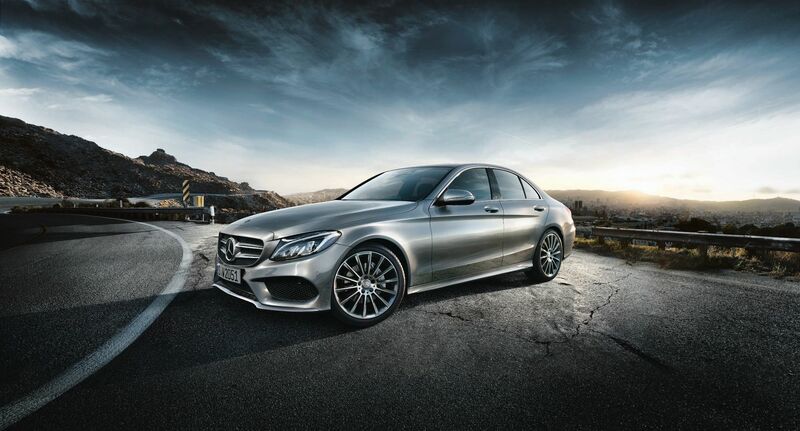 MERCEDES BENZ C-CLASS offers even more unequivocal stance with the Night Package, Sports Package or AMG wheels. The quality is genuine. The feeling is real. Modernistic style can’t obscure a tradition of expertise that’s carried over generations. Three wood options are all crafted by hand. Seats are invitingly contoured and perfectly tailored. Three colors of ambient lighting add to MERCEDES BENZ C-CLASS elegance and enliven your senses. The turbo MERCEDES BENZ C-CLASS 4MATIC isn’t just a conventional car, it inspires with efficacy and enthusiasm. It doesn’t just grip the road, but hugs the joy spread around every corner. A sports sedan performs. The C-Class beats performance. A rush of acceleration. No hurry to the fuel pump. 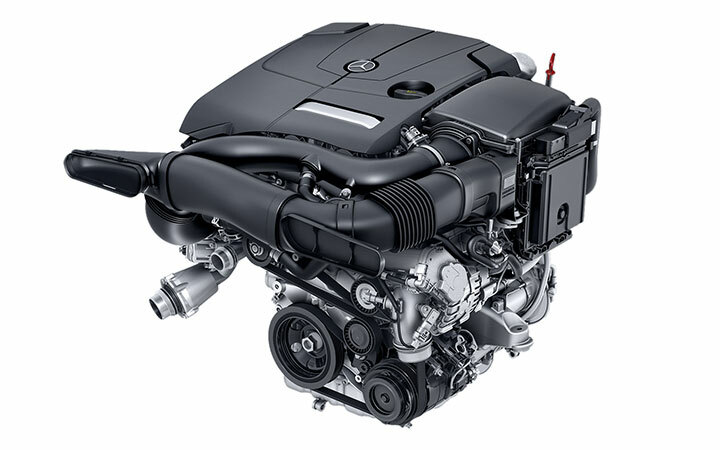 The turbocharged MERCEDES BENZ C-CLASS 4MATIC is powered with 241 hp and a new 9-speed transmission. MERCEDES BENZ C-CLASS cruises to 100 in less than 6 seconds. With its multi-spark ignition and Direct Injection, MERCEDES BENZ C-CLASS can self-tune in fractions of seconds, boasting higher performance while utilizing lesser fuel. And a mode for every mood. The agility of a track star. It’s in its genes. With racing design, the 4-wheel multilink suspension and selective damping MERCEDES BENZ C-CLASS grips the bending roadways yet flouts the bumps. Its sporty character further refines handling with the Night or Sports Package. Ready for when the seasons’ turn. Eager when the road turns. 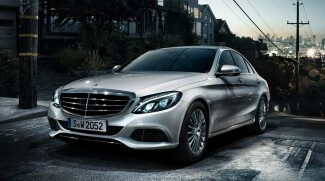 The All Wheel Drive(AWD) MERCEDES BENZ C-CLASS 4MATIC responsively enhance traction. It skillfully turns torque into grip even on slippery roads. It’s nimble in dry conditions. And it’s seamless, light and efficient throughout the year. C-Class innovations revolutionize your senses. They respond as if they feel your touch and hear your voice because they virtually can. They’re engineered to serve you, satisfy your sense of well-being, and even help see you through danger. 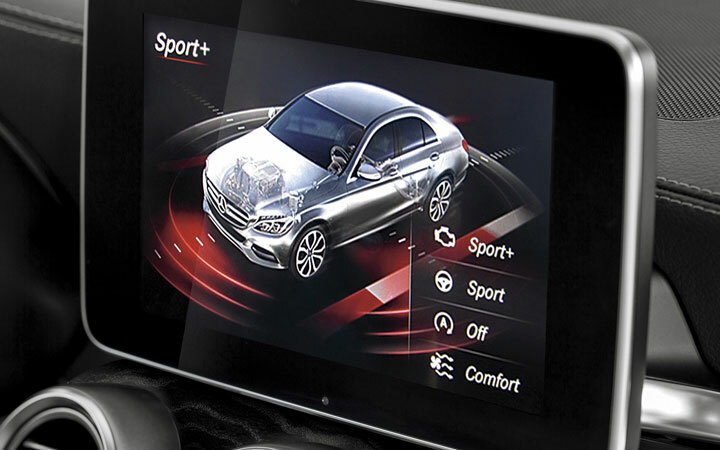 From its rich screen to its handy Burmester® audio and touchpad COMAND navigation the essence is precision. Instinctual controls, hands-free Bluetooth®, and user-friendly customizable settings make every move feel like second nature. Watches the driver ahead. And the one behind the wheel. C-Class safety monitors your future. Radar assistances spot hazards and alerts about any sudden influx in your path. A bundle of standard and optional features can keep an eye all around you, vigilant keeping you safe, help you stop, and even respond to anticipated events to help reduce collisions.